University suggests journal correct diabetes paper. Publisher retracts it. After a publisher learned there may be issues with a 2008 diabetes paper, it asked the author’s university to investigate. The university found evidence of image duplication, and asked the journal to consider correcting the paper. Instead, the journal has retracted it. The backstory involves diabetes researcher Kathrin Maedler, who has one previous retraction, as well as multiple corrections. Even the paper in question, published in Diabetes, received an erratum in 2014 regarding a duplicated image, as well as an expression of concern last August after the American Diabetes Association questioned “the reliability of the data” in both the article and erratum. According to the expression of concern, the ADA asked the University of Bremen to investigate the issues in the paper. In October, the University of Bremen concluded that several duplications present in her work were the result of negligence, not misconduct. 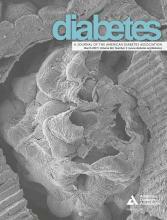 Continue reading University suggests journal correct diabetes paper. Publisher retracts it. 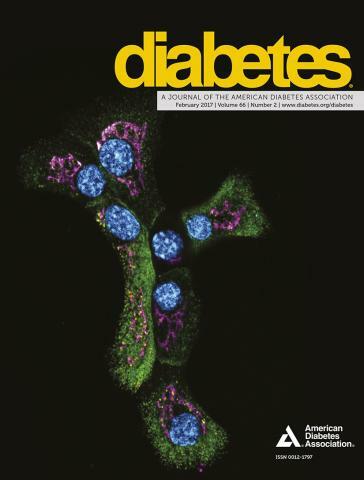 Posted on May 1, 2017 May 1, 2017 Author Victoria SternCategories American Diabetes Association, author objections, diabetes, diabetes, duplication retractions, freely available, germany retractions, image manipulation, misconduct investigations1 Comment on University suggests journal correct diabetes paper. Publisher retracts it. A prominent diabetes researcher based at Harvard Medical School has retracted a third paper, citing manipulation of multiple figures. Late last year, Carl Ronald Kahn—also chief academic officer at Joslin Diabetes Center—retracted two papers for similar reasons. 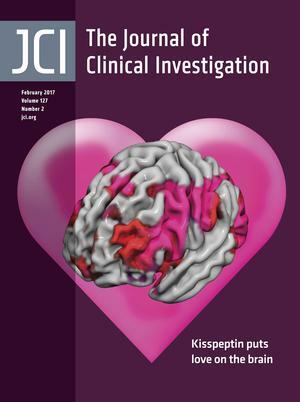 In November, Kahn pulled a 2005 paper from The Journal of Clinical Investigation (JCI) and a month later, he retracted a 2003 paper from The Journal of Biological Chemistry (JBC), both times citing duplications that the authors said were introduced while assembling the figures. A diabetes researcher sued his former employer for defamation. Here’s the story. The last decade hasn’t exactly been drama-free for Franck Mauvais-Jarvis, head of the Diabetes Research Program at Tulane University. After being accused of falsifying three figures in a submitted manuscript, Mauvais-Jarvis sued his accusers and officials at his former employer — Northwestern University — for defamation and conspiracy in 2011. In 2014, a judge dismissed the suit. We wish we could tell you more details about it—such as what the university’s misconduct investigation found, or how the lawsuit was concluded—but they remain shrouded in mystery. What we know is based on court records from the lawsuit, which we recently obtained through an unrelated public records request. Even without all the details, it’s a long, sordid tale, involving a lot of finger-pointing and allegations of misconduct. In 2008, a former research technician in the lab of Mauvais-Jarvis, then an associate professor of medicine at Northwestern University, raised concerns of fabrication in two figures in a paper on the regulation of insulin synthesis that had been submitted the Journal of Biological Chemistry. An inquiry committee at the university unanimously concluded that research misconduct charges against Mauvais-Jarvis were not credible. But then a third figure in the manuscript was found to be “inaccurate,” and the university initiated a second inquiry. That’s when Mauvais-Jarvis — whose papers have been cited more than 2,000 times, according to Clarivate Analytics’ Web of Science, formerly part of Thomson Reuters — initiated a lawsuit. Continue reading A diabetes researcher sued his former employer for defamation. Here’s the story. Posted on April 12, 2017 April 12, 2017 Author Megan ScudellariCategories diabetes, disputed data, faked data, Legal Threats, misconduct investigations, NAS, pnas, united states2 Comments on A diabetes researcher sued his former employer for defamation. Here’s the story. Researchers at Columbia University have retracted a 2013 paper in The Journal of Clinical Investigation, after uncovering abnormalities in the stem cell lines that undermined the conclusions in the paper. Last year, corresponding author Dieter Egli discovered he could not reproduce key data in the 2013 paper because almost all the cell lines first author Haiqing Hua used contained abnormalities, casting doubt on the overall findings. When Egli reached out to Hua for answers, Hua could not explain the abnormalities. As a result, Hua and Egli agreed the paper should be retracted. Since some of the details of how the paper ended up relying on abnormal cells remain unclear, the university confirmed to us that it is investigating the matter. A department chair of a Swedish university asked to retract a 2010 study in Diabetes after none of the authors could explain image-related ambiguities. The matter prompted particular attention because the paper’s first author, Pontus Almer Boström, had been found guilty of scientific misconduct by the University of Gothenburg in 2012, after Jan Borén noted some irregularities in data calculated by Boström. At that point, the research group combed the data to identify further issues arising from Boström’s work, and didn’t find any. The notices keep coming for diabetes researcher Mario Saad. Diabetes has just retracted two more of his papers, both of which had been flagged by expressions of concern, citing problems with duplications. What’s more, the journal added another expression of concern to a 2009 paper on which Saad — based at the University of Campinas in São Paulo, Brazil — is listed as last author, again over concerns of duplication. This isn’t Saad’s first run-in with the journal: In 2015, the researcher sued the publisher, the American Diabetes Association, after it issued expressions of concern for four of his papers. Later that year, a judge dismissed Saad’s defamation suit. The journal eventually retracted the papers. The latest articles flagged by Diabetes appear to be part of an intricate publishing web, as the journal suggests all papers have used features of previous papers, and also include elements that have been republished by subsequent articles. The former president of the Joslin Diabetes Center has withdrawn a second article within a month of his first, and issued extensive corrections to another paper in the same journal, all due to figure errors. 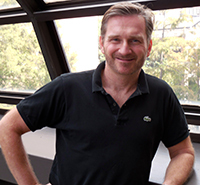 2013 probably felt like it was going to be a great year for stem cell biologist Douglas Melton at Harvard. He had published a buzz-worthy paper in Cell about a new way to potentially boost insulin in diabetics, attracting significant media attention, and eventually gathering nearly 200 citations. But 2016 is closing out on a less positive tone for Melton — today, he and his colleagues are retracting the paper, after multiple labs (including his own) couldn’t reproduce the findings.